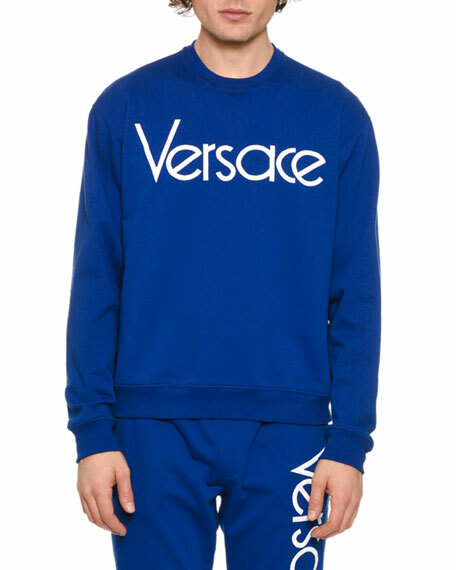 Versace sweatshirt with logo typographic. 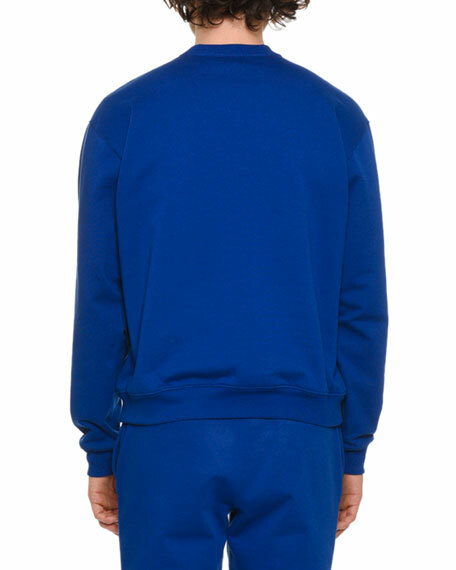 Versace sweater in logo embossed knit. Crew neckline. Straight hem. Pullover style. Cotton. Made in Italy. Versace sweatshirt with logo embroidery and male figures print. Crew neckline. Banded cuffs and hem. Pullover style. Cotton/spandex. Made in Italy. Versace port shirt in solid weave. Spread collar; logo-button front. Rounded barrel cuffs. Chest flap pockets. Shirttail hem. Cotton. Made in Italy.